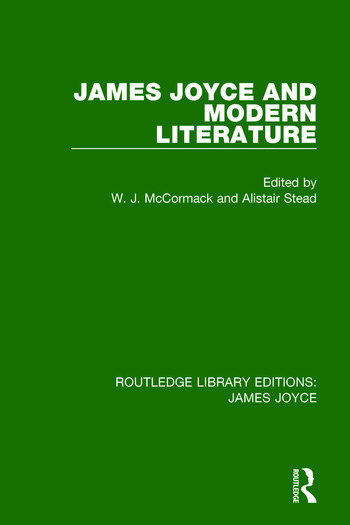 This collection, first published in 1982, brings together thirteen writers from a wide variety of critical traditions to take a fresh look at Joyce and his crucial position not only in English literature but in modern literature as a whole. Comparative views of his work include reflections on his relations to Shakespeare, Blake, MacDiarmid, and the Anglo-Irish revival. Essays, story and poems all combine to celebrate the major constituents of Joyce’s work – his imagination and comedy, his exuberant use of language, his relation to the history of his country and his age, and his passionate commitment to ‘a more veritably human tradition’. This title will be of interest to students of literature.